This website relies on information from the United States Alcohol and Tobacco Tax and Trade Bureau (TTB) and the United States Food and Drug Administration (FDA). These government agencies roles in food and drink safety can be confusing. So confusing that the FDA acknowledges it [link], "Often frustrating and confusing for consumers is determining the appropriate regulatory agency to contact. " 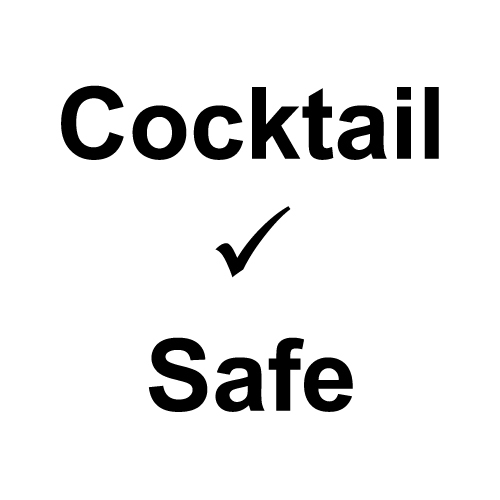 This page shares some information on what these agencies do and where you might start looking for information on any cocktail ingredients not (yet) listed on CocktailSafe. The FDA regulates food additives and dietary supplements, among other duties [link]. The FDA also approves color additives. It does not approve dietary supplements or food labels. Many of the items listed on CocktailSafe and used at the bar fall under the category of food additives. "Certain food ingredients, such as those that are considered “generally recognized as safe” (GRAS) by scientific experts, do not require premarket approval as a food additive. FDA has a voluntary notification process under which a manufacturer may submit a conclusion that the use of an ingredient is GRAS." The GRAS database - Substances Generally Recognized as Safe. Note that often no results are found, but the search returns the message:"There were no records found that match your search criteria. Try searching related datasets." Be sure to click that link as it will often lead to results elsewhere. Often, searching the FDA's website will bring you to CFR 21, the Code of Federal Regulations Title 21. Much of the detailed information you may be after is found there. But [link] "TTB does not regulate the sales of alcohol or tobacco products at the retail level... State and local authorities regulate those sales. For information about laws and regulations in your state, please contact your alcohol control board and/or local authorities." To search the TTB, the main search box on the website is a good start [link]. A useful page is the Limited Ingredients page [link], which contains both the "Flavoring Substances and Adjuvants Subject to Limitation or Restriction" and "Flavoring Substances and Adjuvants that are Used Only in Certain Situations," which lists many ingredients that may used in alcoholic beverages only.